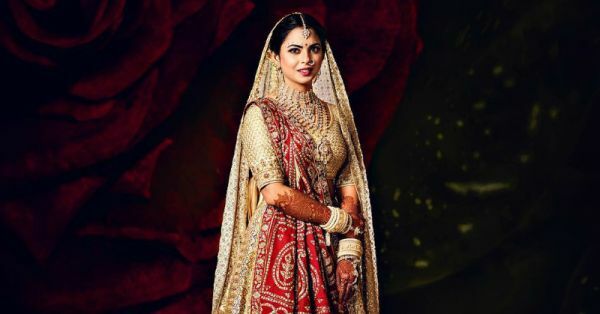 Isha Ambani's much-awaited bridal look is finally out and having seen so many brides in the recent past, we can safely say that no matter the culture, no matter the background, every bride is a beautiful bride. But there is more to Isha's bridal look than a designer lehenga and heavy jewellery. Isha Ambani just introduced us to a traditional Gujarati bride, and now we're half convinced that we want to have a wedding just like hers. Not because she is an Ambani, but because her bridal lehenga checks all our boxes of style, statement, and heritage. Her stylist, Ami Patel, posted this picture of Isha just before her wedding and we can't take our eyes off her. In Abu Jani Sandeep Khosla couture, Isha made us fall in love with the off-white colour for our bridal lehenga too. What an unusual and unique choice of colour. Incorporating 16 hand-embroidered panels featuring Mughal Jaalis and floral motifs, the lehenga boasted of zardosi, vasli, mukaish and nakshi work, along with a play of sequins. There was also a touch of the age-old red colour, which is considered auspicious in Hindu weddings, in the borders. But Isha didn't skip out on the traditional red either. She teamed her bridal lehenga with her mother, Nita Ambani's wedding saree called Panetar, and draped it like a dupatta adding to the ensemble's charm. Panetar is a saree-style typical among Gujaratis as a wedding outfit for the bride. It forms an important aspect of the wedding ritual. And here's a fun fact: both her dupattas were styled by the popular celebrity drape-stylist, Dolly Jain. Speaking of tradition, Isha accessorised her bridal look with the traditional hathi dant chooda (white bangles), a very popular bridal accessory among Gujarati and Rajasthani weddings. She also included the bridal brow, that is, a big red bindi in the centre and the traditional red and white dots above the eyebrows that completed her bridal shringar. Her bridal set comprised of a brilliant choker with a diamond pendant as well as a long, layered diamond necklace with a gigantic pendant at the bottom. Unlike the Bollywood brides we have seen this year, Isha opted for relatively light jewellery that included a pair of elegant diamond earrings, a maangtika, and a nose ring. We are so loving this bridal look. We have to admit, it's super easy and effortless! 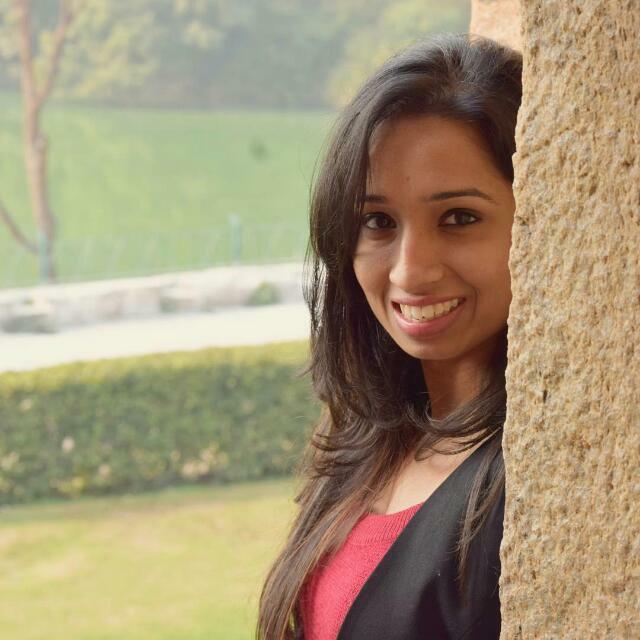 And now, we can't wait to see what Isha will wear for here upcoming receptions. Until then, let us just dream about our wedding, and hope for one like Isha's.